PHILLIPS : Joan Miró's "March Towards Collectivity"
Joan Miró's "March Towards Collectivity"
Though his paintings were often executed in isolation, the Catalan master used printmaking as an opportunity to collaborate. When Joan Miró wrote that "the march of the world is leading towards collectivity," he likely drew from his experiences in printmaking, as conversations and admirations among Miró and Surrealist poets during the early 1930s resulted in printed illustrations that were among his earliest graphics. 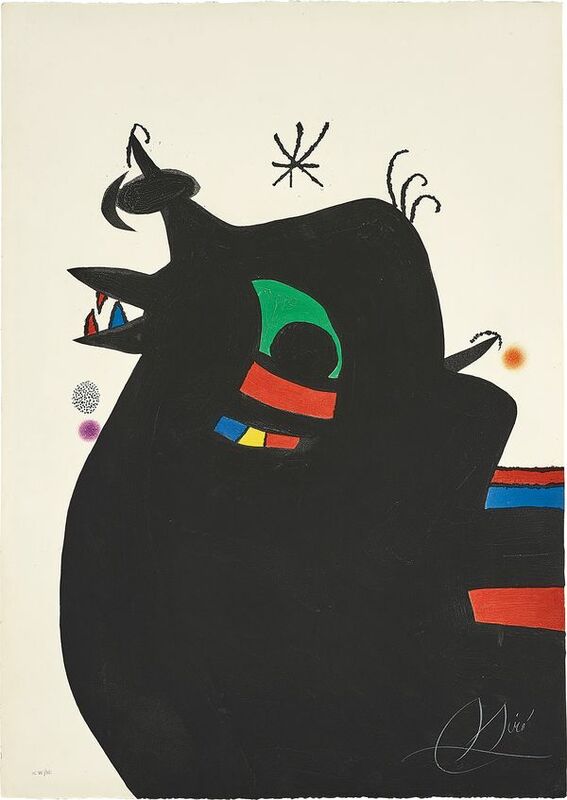 Now on view at the Museum of Modern Art in New York, Joan Miró: Birth of the World explores the genesis of his collaborative creative process, placing monumental works on canvas alongside works on paper, illustrated books and objects. 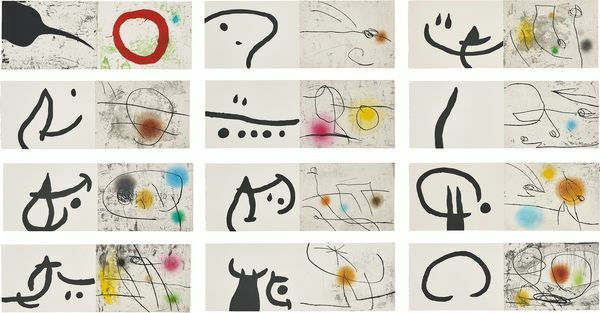 Shedding light on his masterwork of the same name, the institution quotes Miró: "You and all my writer friends have given me much help and improved my understanding of many things." Print shops provided Miró with welcome breaks from the solitude of his painting studio, as well as dialogue with the outside world. His lithographs and etchings resulted from happenstance occurrences and personal interactions, unlike his paintings that were preceded by investigations performed in isolation. 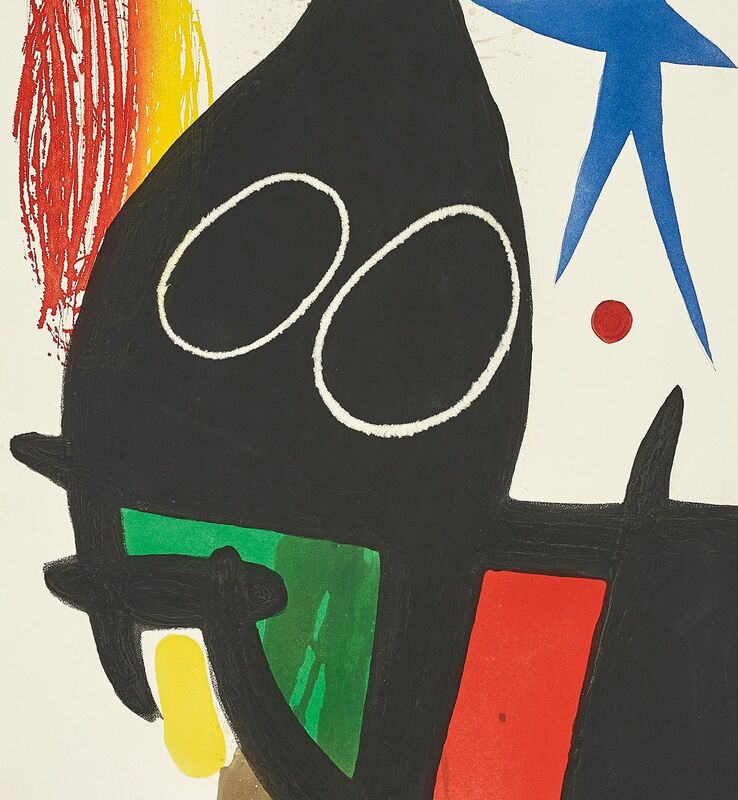 Master printers became Miró's friends and provided great inspiration and comfort. He mentioned, "I work at my engraving in a team...They give me ideas and I take them fully into my confidence. But if you want to remain a star, it's impossible." 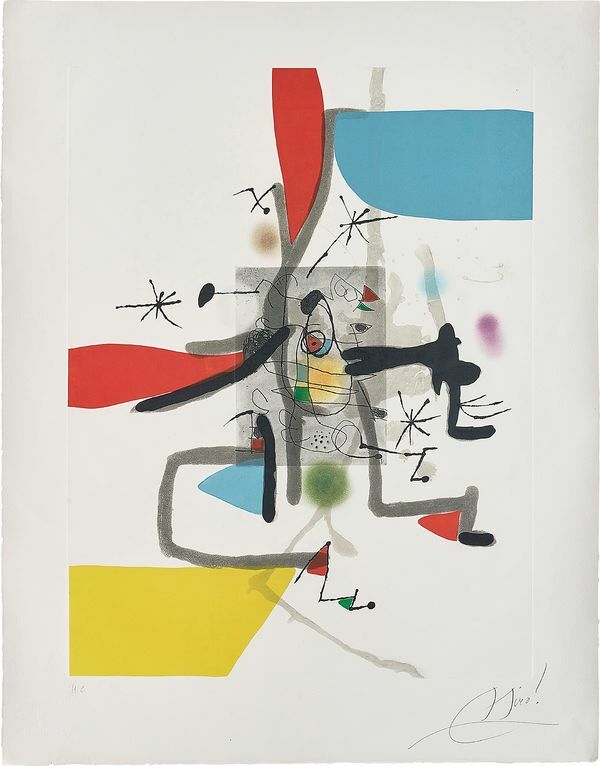 Miró's etchings were a chorus of plate marks and personalities. For instance, Miró’s Le Moulin à café (Coffee Grinder), lot 133, a detailed re-creation of his early synthetic Cubist painting from 1918, was brought back to life in 1954 by Miró and the master engraver Georges Visat for Maeght Éditeur in Paris. The final work required a variety of technicians to execute the print run before the artist could sign and number the edition for sale. 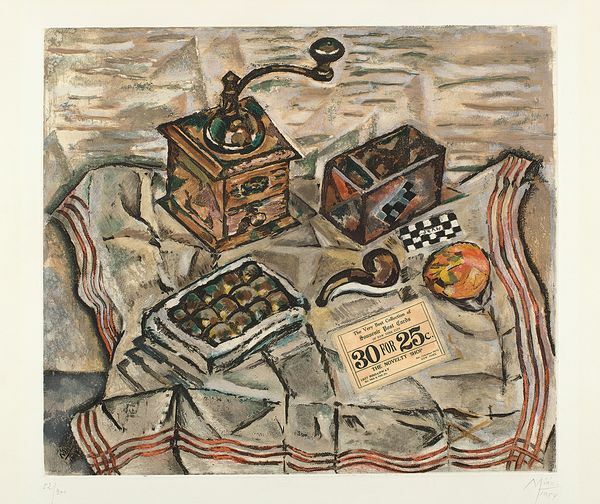 Lots 1-5 and lots 133-147 from our Editions & Works on Paper sale in New York are masterworks in the medium. Depicting characters encountered throughout a life spent traversing France and Spain, his prints burst with the vigor of friendships, imagination and memories. Le Permissionnaire (Soldier on Leave), lot 1, was an off-duty and elated young soldier like one that Miró would have encountered throughout his travels during the great wars. Areas of vivid color and even a handprint ensconced a black figure sprouting string-like appendages. Print shops provided Miró with welcome breaks from the solitude of his painting studio, as well as dialogue with the outside world. 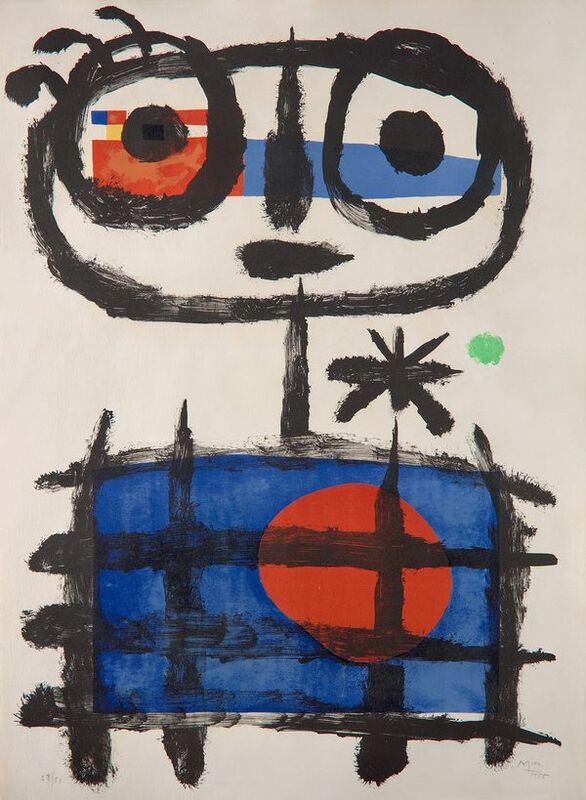 Miró's cast of characters was diverse and filled with life. The visual diversity of Le Sarrasin à l'étoile bleue (Saracin with Blue Star); Le Permissionnaire (Soldier on Leave); Mangeur de soleil (Sun Eater), lot 134; Le Cheval ivre (The Drunken Horse), lot 135; La Jeteuse de sorts (The Spellcaster), lot 146 were examples from a confident master at liberty to improvise, work ambitiously and trust in his collaborators. 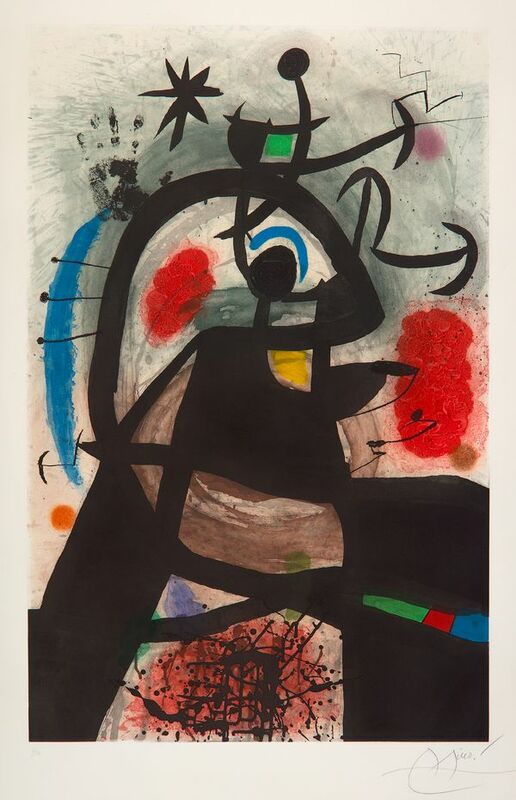 Among all of these people, animals and surreal in-betweens, Miró asserted his unique form of whimsy as enjoyed in Souris rouge à la mantille (Red Mouse in the Mantilla), lot 3, and created two color versions using different plates and colors as well as a Pollock-style dripping of aquatint. Even during prolific periods of his painting practice, Miró found motivation in waking up early to work at engraving. By the mid-1970s, his output approached a ferocity that obscured his advanced years. More than 60 intaglio prints were made between 1974 and 1975 alone—a testament to the vitality that Miró brought to the medium. 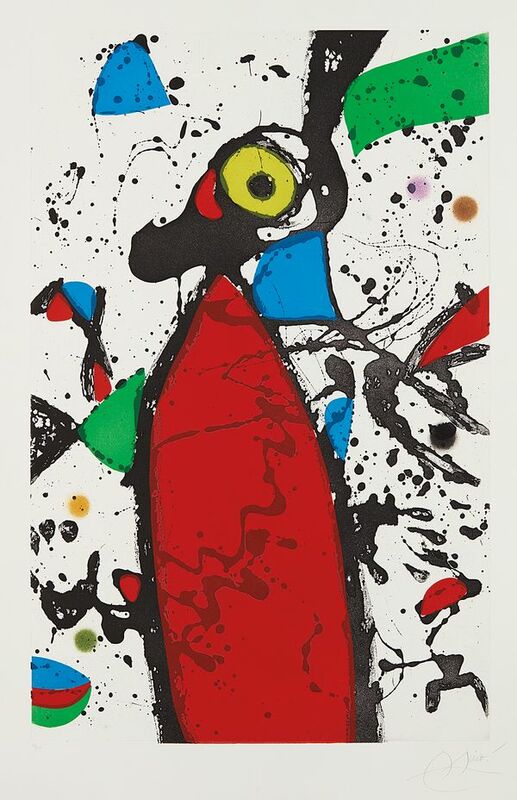 Miró continued to engrave until his death in 1983, with a number of projects printed but not yet signed. His very last completed works from 1981, Lapidari "Llibre de les propietats de les pedres" (Lapidary "Book of the Property of Stones"), lot 137, and one example from Llibre dels sis Sentits (Book of the Six Senses), lot 138, ended his illustrious career with a reflection on the natural world.